Early morning on the escarpment beside the Plantation, New Year’s Eve. Quizzical notes from an unseen Brambling (just out of its roost in the woods? 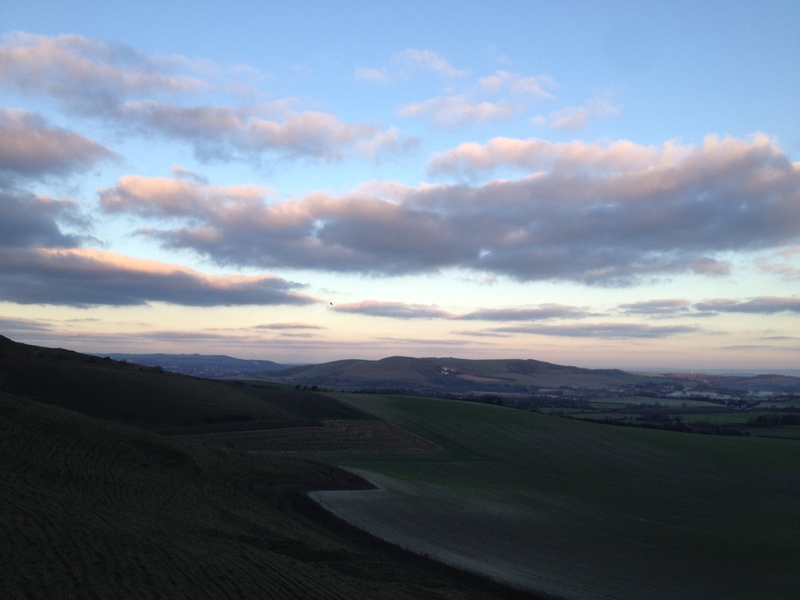 ), then a Red Kite, circling low over the hillside, my first and last of the year. Down Firle Bostal, a Stoat sped past a roadside gap along the chalky field edge. At New Elms pond, a Grey Wagtail flashing its white bits and trilling. This entry was posted in Local sightings, plantation circuit by Charlie Peverett. Bookmark the permalink.